Let`s watch the traditional Schäffler dance at Protected content . 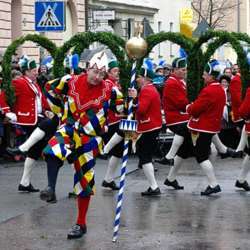 This traditional dance is shown every 7 years to commemorate the end of the plague in Munich and its surroundings. So don`t miss out on this unique occasion!